Vikram Sathaye has the distinction of being the first English Standup Comedian in India and has performed in more than 1300 corporate events across the world in the last 11 years. An MBA in Marketing from the Symbiosis Institute of Business Management Vikram worked for 7 years with companies like MTV and PMG. 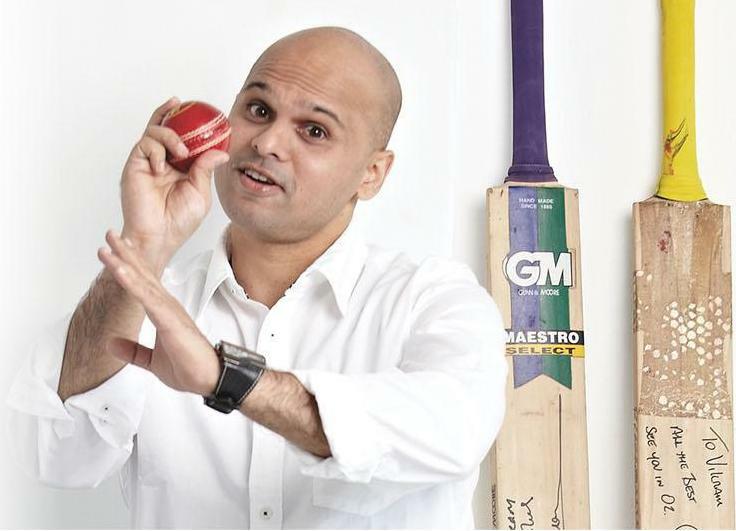 In 2003 out of the blue he got an offer to be part of Extra Innings on SONY MAX as a cricket humorist. On his return he was offered to perform a sketch at the 2003-2004 CEAT Cricket Awards. Post that there was no looking back as he then launched himself as a professional standup comedian. While in MTV he had been performing standup sketches along with the MTV VJ’s since 1998. His TV stints include Presenter on SET MAX during the World Cup in 2003 and Champions Trophy 2004, India's Tour of South Africa on ESPN Star Sports in 2006 and the ICC World Cup 2011 on IBN LokMat. His repertoire now includes everything from sports, politics, current affairs, Bollywood, to popular culture and solutions for marital disputes. corporates to discuss all matters cricket.